Followup from last weeks show. Q: This all sounds fine…but I am a bit slow. A: Well, there are a couple of things going on here. The first thing is there isn’t really a good way to to do podcasting from WordPress.COM (notice I said wordpress DOT COM). WordPress.com is a service of a company called automatic. They are also the people behind the open source blogging software called WordPress.ORG (or just wordpress). They are not the same thing. Powerpress will not work with free (or paid) wordpress.com sites. It only works when you buy your own domain name, install wordpress.org on your webhosting account. There are ways to to podcast from wordpress.com, but they are not great. 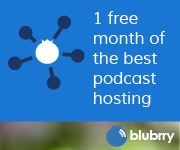 One thing you could do is get hosting at Blubrry.com. With your media hosting they provide a website. (use my promo code NOBS for a free month) But, as always, I recommend your own domain with wordpress installed on it. You *can* (but not a long term thing) host your media on your webhost if you want. It will work while you are just starting out, but if your show grows quickly, you will want to get the media off your webserver. One place that will allow it is bluehost. They have some good deals on webhosting over there. Godaddy hosting is also a good place. They have tools that make it real easy to setup wordpress. So, my advice to Val is to get your own domain, install wordpress and powerpress. See episode 1 of Podcast Tech Coach (Podcast Help Desk) for step by step instructions. Q: What chair do you use? A: I know Jeffrey was trying to be funny, and of course, I am in a squeaky chair in Northwest Lower Michigan… But that does bring up a good topic. That is Studio comfort. If you are uncomfortable or your gear isn’t organized, your podcast won’t be as enjoyable to produce. Make sure you chair, desk, table, keyboard and everything else is setup in a way that you are relaxed while podcasting. 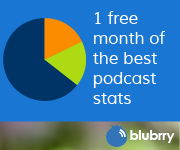 Today, I want to start a series on going from zero to a fully ready to go podcast website complete with RSS feed and iTunes and Stitcher listings. I will also be making these into screencast videos which will be available on YouTube and on this site. Today’s topic: Selecting the domain name and getting web hosting account.